Health through the healing power of nature, that's what it means to Trust the Leaf. 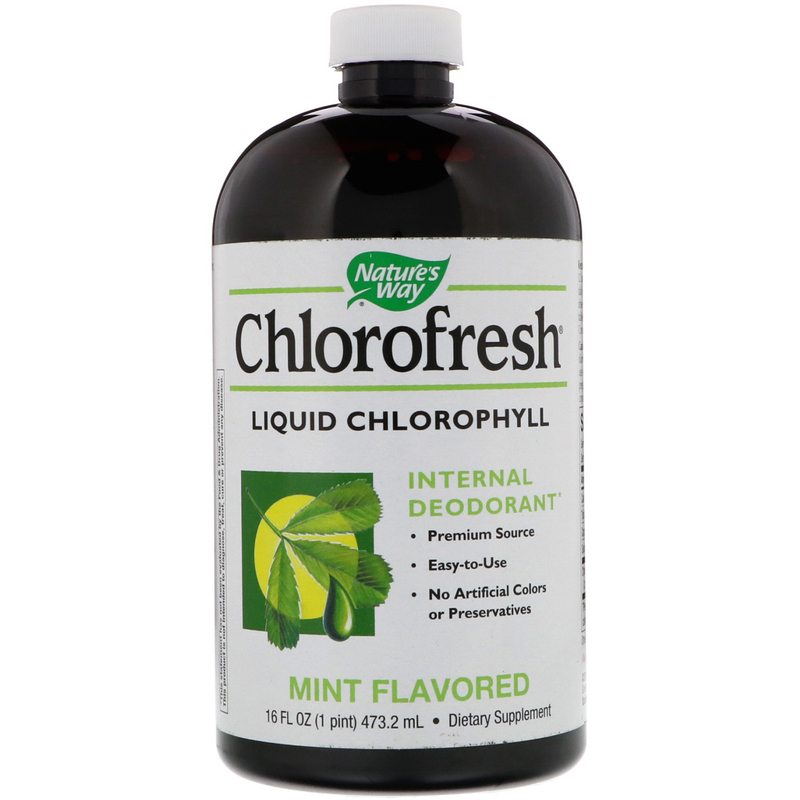 Chlorofresh is a liquid chlorophyll complex extracted from premium botanicals that is used as an internal deodorant. 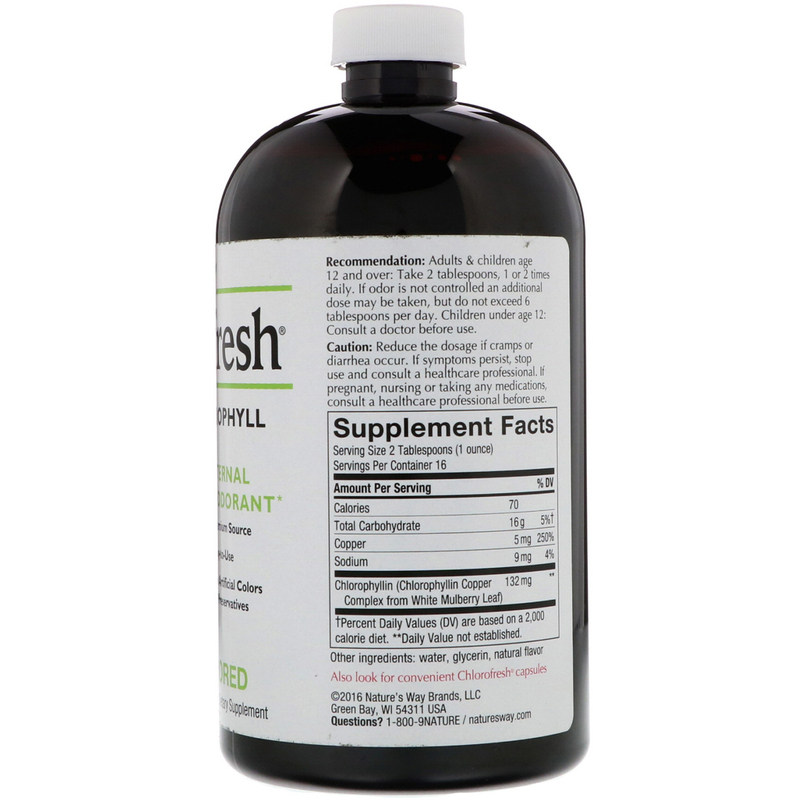 Recommendation: Adults & children age 12 and over: Take 2 tablespoons, 1 or 2 times daily. If odor is not controlled an additional dose may be taken but do not exceed 6 tablespoons per day. Children under age 12: Consult a doctor before use. For use as a Mouthwash, Rinse or Gargle: Use at full strength or add 1-2 tablespoons to one-half glass of water. Rinse mouth thoroughly and repeat. Refrigerate after opening. Use with care, this product may stain.